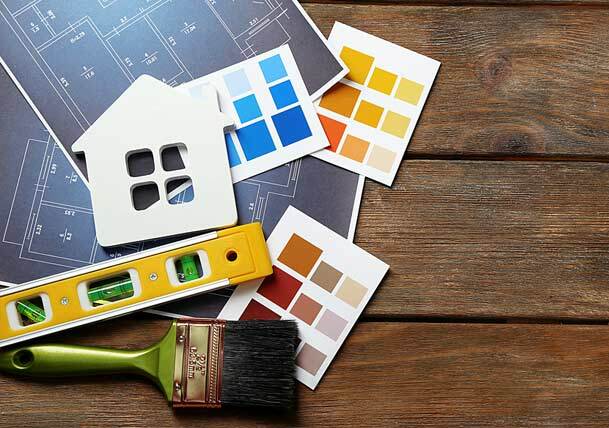 Painting is a comparatively low-cost way to refresh and modernize your house, and the not-so-secret way to a great paint job is by doing good, thorough prep work. While some homeowners prefer to hire a company to take care of all aspects of painting, others want to save money and take on the challenge of painting themselves. The trade-off, however, is that prep work is just that: work. While it’s not terribly thrilling, properly prepping the exterior of your house can save you time and money down the road. If you’re a do-it-yourselfer at heart or just trying to save a little cash, here are some tips for getting started. Once you’ve decided what color and kind of paint to use (water- or oil-based are the typical choices, water-based latex being the most common), you should spend the cash and get the best-quality product you can. High-quality paint is thicker, coats more evenly, and has better adhesive properties than cheaper paint. If you buy the cheap stuff, prepare to spend several afternoons applying coat after coat. Try to prep and paint during moderate weather—nothing too hot, cold, dry, or wet. All these extremes will not only affect the paint, but they will also make the prep work harder on you. You can’t predict the weather exactly, but choose a time of year that’s usually clear and temperate. The first thing you’ll want to do to your outside walls is remove decorative items such as shutters, porch lights, and address numbers in order to clean the exterior surface. Cleaning removes built-up dirt and grit, allowing the primer or paint to go on smoothly. Before you start cleaning, remember to cover any nearby plants with tarps or plastic sheeting to protect them. Now how to clean something as big as a house? 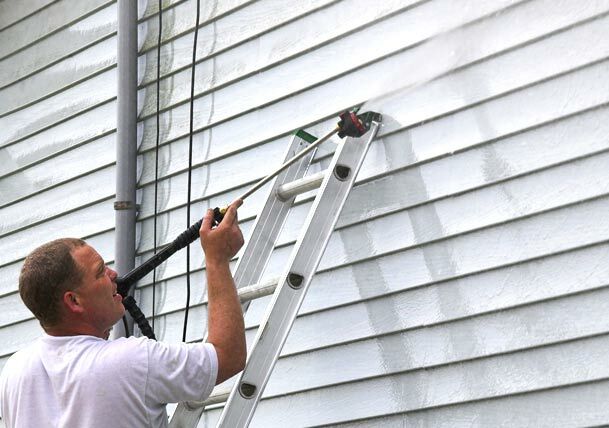 Pressure washers are a quick and effective way to strip old paint and grime off walls, but that speed comes with a caveat: they can be dangerous to you and your home if you don’t know how to handle them properly. If you use a pressure washer, get trained or hire a professional. If you decide they’re not for you, then soap, water, and a mop sponge will work just as well, though it will take more elbow grease. Whatever cleaning method you choose, you’ll need to make sure the walls have completely dried before the next step. Taking a look at your newly clean and dry walls, you’ll likely see places where the old paint has peeled, bubbled, or flaked. Now’s the time to sand and scrape down those spots—a power sander is recommended for a job this large—and that will allow the paint to go on smoothly. 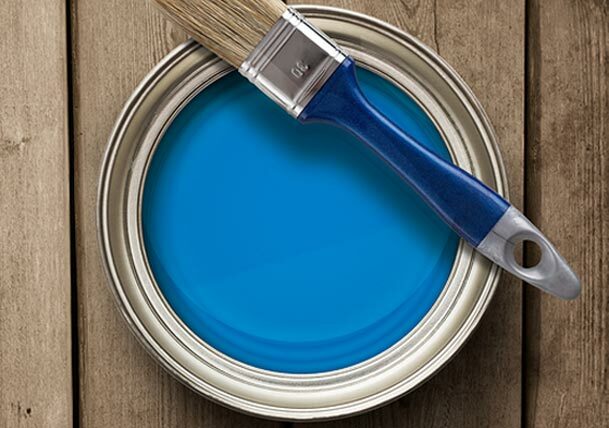 Before this step, make sure your home’s paint is lead-free. If the paint you’re removing was applied prior to 1978, it’s likely lead based. 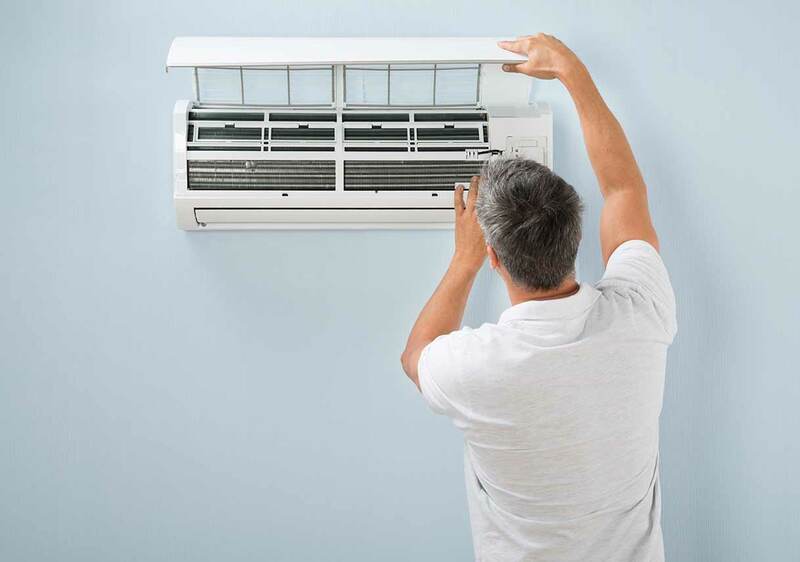 You’ll need to use special sanders that can trap lead dust using HEPA filters, and you should wear special protective covers over your mouth and eyes. After sanding, make sure you wash away the old paint and dust before applying any new paint or primer. Now’s also a good time to check the condition of the caulk and flashing around the windows and doors. Any crumbling caulk or damaged flashing should be replaced to make sure water doesn’t find its way inside the walls. Keep in mind that if you choose to hire a professional painter, these types of services could be included in the paint job. Now that the exterior of your house is cleaned, sanded, patched, and ready to go, you’ll likely want to hire a professional to help with the actual paint job. A professional will already have brushes, rollers, and a paint sprayer on hand. Paint sprayers are a great way to cover a lot of wall space quickly, but in untrained hands they can make big messes. While a sprayer can be used for the majority of the paintwork, brushes will likely be used for detail spots like nooks and crannies. Make sure your contractor uses high-quality brushes and rollers—cheap ones won’t leave as smooth of a surface finish—and remember to lay down tarps over your grass and plants nearby. 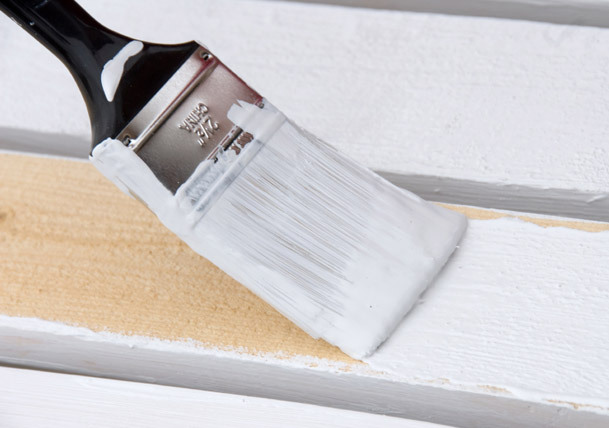 Don’t forget that if any part of the house was sanded, then primer will need to be applied before the paint. 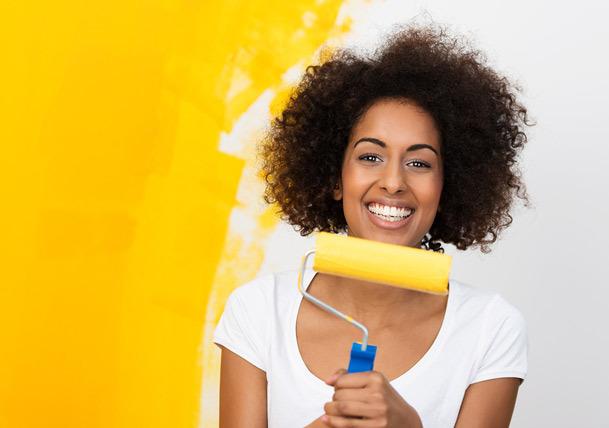 Painting your house is a great way to feel real ownership of your home. You’ll be changing how it looks in a big way, and these helpful preparation tips will ensure that your paint job will come out a success. Once you’ve folded up the tarps and stored the leftover paint—save a little for touch-ups—you can stand back and feel proud of what you’ve accomplished. Sources: Benjamin Moore; DIY Network; The House Painting Guide; This Old House.